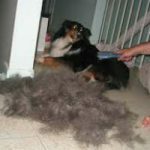 Yes, I know this site is all about grooming your pet at home. But there may come a time when you need the use of a professional Pet Groomer. Searching for good local pet groomers may not be as easy as you think. There is a lot you should know before handing your precious pet over to a total stranger. 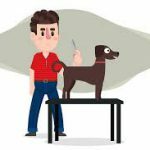 In this article, I will help educate you by going over the things you need to know and what to look for when choosing a professional Pet Groomer for your fur baby. The first way and in my opinion the best way to find a good Pet Groomer is by word-of-mouth. Talk with your veterinarian and others you know who use a professional Pet Groomer. Ask them about their experiences, pricing, and satisfaction. Also, if you happen to see a well-groomed pet while out and about stop and ask the owner where they have their pet groomed. Gathering peoples opinions about your local pet groomers is a great way to get informed. 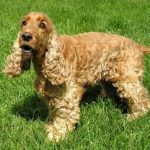 The Internet is full of information to help you find a reputable Pet Groomer. Start by typing “local pet groomers” into the Google search. You will see that Google has a star system for all the pet grooming shops in your area. Look for the ones with the most stares then read all the reviews. 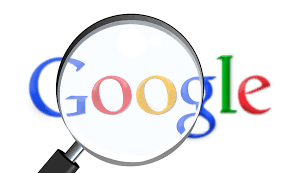 Click on “More Google Reviews” to see them all. The good reviews are usually at the top so you need to scroll down to read them all. Click on “more places” to see all the listings. Look them over to choose the ones you find most appealing. Now you will want to do a search at the BBB(Better Business Bureau). Type “Better Business Bureau Profile/the name of the shop” into your search. This will open a page with all the information about that grooming shop. You will see how long they have been in business if they have had any complaints, and who the owner is. It will also list all the products and services that they have to offer. This is a good way to weed out all the undesirable shops from your list. Now it’s time to make some phone calls. Talking with the Groomer on the phone will help you in making a more educated decision. 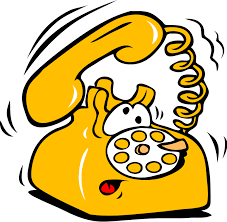 Call around to the different shops to gather more information. Is the Groomer familiar with your pets breed? Does he/she know how to properly groom the breed? 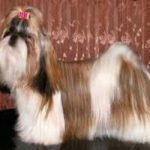 A well trained professional Groomer should be familiar with all breeds and how they need to be groomed. This is an especially important question if you own a rare breed. Does the Groomer have certification? Ask what type of training the Groomer had and ask if he or she is certified. How long has the Groomer been grooming pets? More experience is always better. 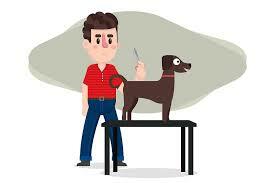 If the Groomer is fairly new ask if he/she has another more experienced Groomer to oversee the grooming process. Remember we all have to start someplace, just because the Groomer is new doesn’t mean he or she isn’t good at grooming. Does the facility have an observation window? An observation window is a good way for you to see how the animals are handled during their stay. Some shops are by appointment only while others will take walk-ins. It’s always best to make an appointment. Pets with appointments are a priority to be done first while walk-in will get groomed when time allows. Does the groomer know CPR? There should always be someone working in the shop who knows CPR. It’s better to be safe than sorry. You will find that most of the grooming shops in your area have similar pricing. You may come across some that seem to be very inexpensive while others may be a bit on the pricy side, just remember you get what you pay for. Do they offer special treatments for skin problems and fleas? 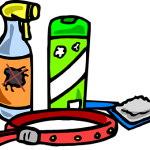 Almost all grooming shops have special shampoos and treatments for a variety of skin conditions. Some shops will charge you an extra fee for each special treatment. Make sure to ask how much before you have this done. Look for a shop that is available to your schedule. Some may offer late hours for those that work days. And just to let you know, Saturdays are always the busiest day of the week and most grooming shops are closed on Sundays and Mondays. How long will my pet need to stay? The average stay should be around 3-4 hours. If you own a puppy, kitten, elderly pet or a pet with health problems let them know and ask if you can get your pet back in a shorter amount of time. Does the groomer know how to handle cats? If you are a cat owner make sure that the Groomer knows how to properly handle cats. Not all pet Groomers are cat Groomers! It is very important to make sure that the Groomer is well trained in handling cats, an inexperienced Groomer can cause your cat harm. All good repeatable pet grooming shops will require your pet to be up-to-date with all their vaccinations. This is for the safety of your pet and the other animals in the shop. Each shop may have different requirements. 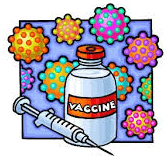 Make sure to ask for the list of needed vaccinations. kennel cough, rabies, distemper, parvovirus, parainfluenza, adenovirus, Lyme disease, and Leptospirosis. By now you should have it narrowed down to just a few shops. Always visit a shop with your pet before making an appointment. You and your pet should feel welcome and greeted by a friendly staff. Take a look around to see if the place is acceptable to your liking. Things to look for that will raise a red flag. You will want to avoid these kinds of shops. It takes a lot of hard work to keep a grooming shop clean and in tip-top condition, a little messy is acceptable as long as it is not out of control. A strong bad odor is a sign that the shop is not clean. If the shop has an observation window take a look into the grooming area. It should also be clean, loose hair all over the floor is acceptable after all this is a grooming shop! Watch to see how the animals are handled. All animals should be handled with care and animals on a grooming table or in the tub should never be left alone. Now you know how to find a good pet groomer. Take all this information and start searching your local pet groomers to make a well-educated decision. I would like to share my personal opinion with you, avoid the big chain store grooming shops. You will find that most are overpriced and you will receive better service from the smaller shops. PS. If you found this info to be helpful please share it with your friends on Social Media! Animals are my passion in life. I am here to help you take care of your pet/pets. Educating yourself in pet care will lead to a happier healthier pet and that is something we all want! Subscribe Here to Receive Updates & Newsletters! 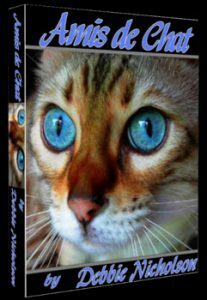 A must read book for every cat lover! 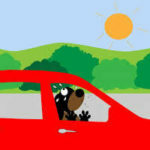 The Well Groomed Pet is a participant in the Amazon Services LLC Associates Program, an affiliate advertising program designed to provide a means for sites to earn advertising fees by advertising and linking to Amazon.com and affiliated sites.